Place the sweet potatoes on a baking tray lined with baking paper, brush with oil, season with salt. Bake for approx. 20 mins. in the centre of an oven preheated to 200°C. Remove from the oven, leave to cool. In a bowl, mix the pomegranate seeds with all the other ingredients up to and including the honey. 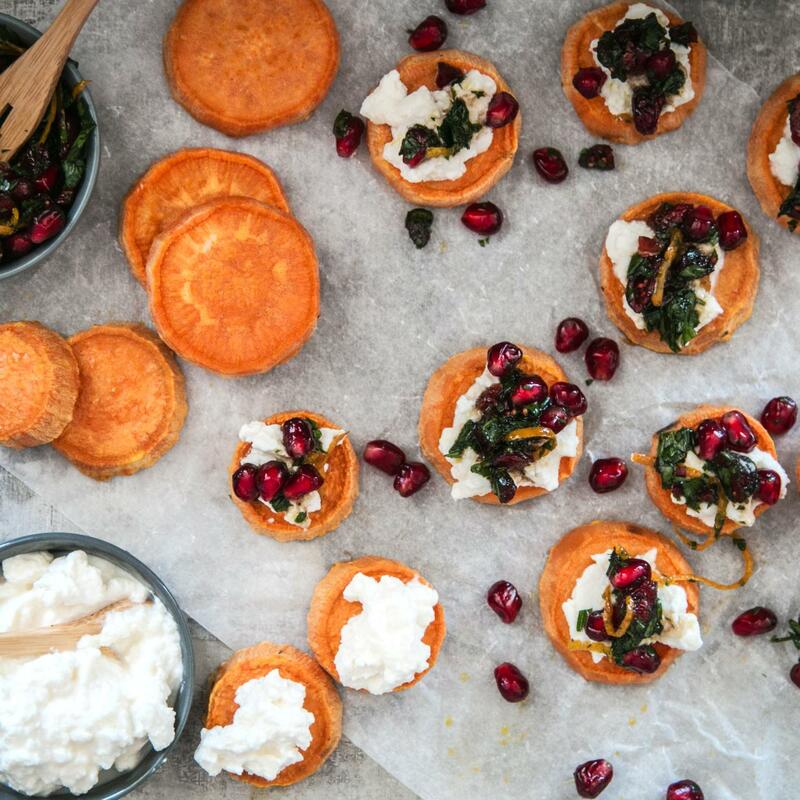 Plate up the sweet potatoes, top with the ricotta and salsa.